118 pages | 26 B/W Illus. 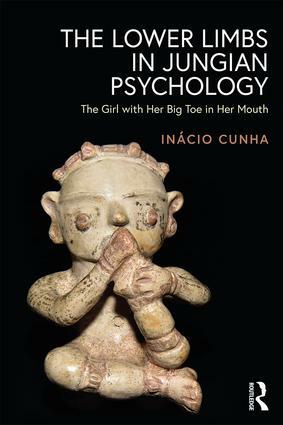 In The Lower Limbs in Jungian Psychology: The Girl with Her Big Toe in Her Mouth, Inácio Cunha explores the motif of lower limbs by amplifying their symbolism from a wide range of source materials, including an intriguing statuette from prehistoric Brazilian culture. Taking a Jungian perspective, Cunha gathers and compares rich material from different historical, anthropological and mythological viewpoints, as well as from fetish, dreams, fairy tales and physical symptoms. Noticing how often the subject of legs and feet manifested in his analytical practice, not only as symptoms but also as dreams and fantasies, Cunha set out to deeply scrutinize our symbolic understanding of these body segments. By observing the lower limbs in the context of evolution and their occurrence in mythology, he proposes a parallel between the evolution in the manner of walking in different species and the development of consciousness. Cunha also surveys dreams relating to these body parts in multiple manifestations, as part of complexes, fantasies and fetishes, and through the description of physical marks, spots and injuries. Mythological icons, such as Ulysses, Achilles, Oedipus, Jacob and others, are utilized to amplify the meaning of the feet and legs as far as their psychological meaning is concerned. The book also explores the lower limbs as a sign of creativity and projection of creative power, before moving to investigate a clay icon from a pre-Columbian indigenous tribe, the Tapajó: an ancient statuette of a girl with her left big toe in her mouth. Cunha analyzes the relevance of this image as an archetypal pattern, occurring not only in his clinical work— in clients’ dreams and physical and emotional issues related to their lower limbs—but also in other cultures’ depictions of the left toe in stories and images. The utilization of material gathered in his extensive research from multiple sources characterizes the method of amplification, advocated in analytical psychology as a possibility to extract symbolic meaning of a given image. The Lower Limbs in Jungian Psychology: The Girl with Her Big Toe in Her Mouth is an original overview of a rarely examined part of analytical psychology and symbolism, and will have great appeal to Jungian analysts, analytical psychologists, and psychotherapists interested in somatic, psychosomatic and symbolical understanding. It will also be of interest to academics and students of Jungian studies, psychotherapy, mythology, anthropology, history and symbolism. Inácio Cunha, PhD, is a Jungian analyst based in Belo Horizonte, Brazil. He trained in Switzerland and the USA .